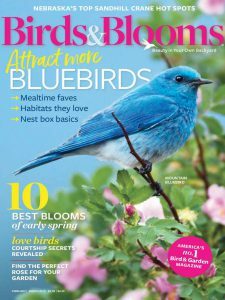 Deal of the Day – Birds & Blooms Magazine is just $7.64 for 1 Year at Best Deal Magazines, March 15th Only – A Retail Value of $27.93 – with Coupon Code 150318. Birds & Blooms is America’s #1 bird and garden magazine. Each issue brings beautiful yards, gardens and wild birds into your living room with beautiful full-color photography and reader-shared stories. You’ll love the practical gardening advice, tips and fun family projects. How many mags per year at this price – $7.64? You are getting the seven issues they publish during the year, but this was a one-day only price from Best Deal Magazines. Every day I post their daily deal, usually much lower than other publishers.